A woman who used to write college essays, applications, and resumes for the children of wealthy parents has spoken out about the college bribery scandal. 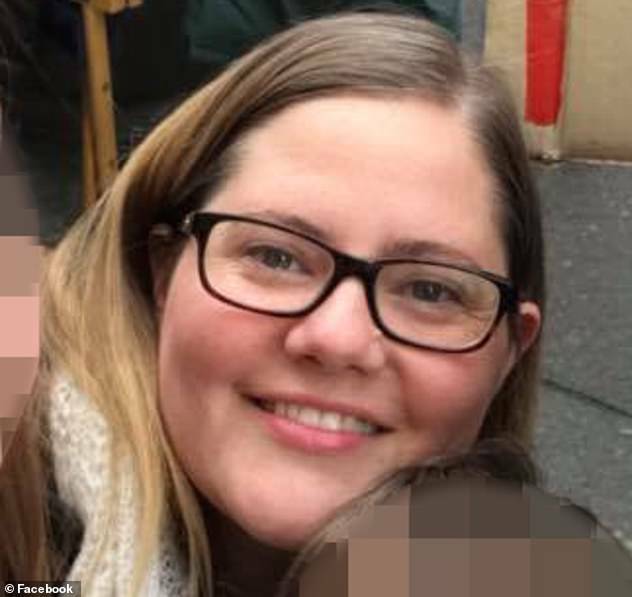 Jaimie Leigh took to Facebook to reveal that she was not at all surprised when she found out that dozens of affluent parents, including Hollywood celebrities like Lori Laughlin and Felicity Huffman, had bribed their children’s way into America’s top schools. 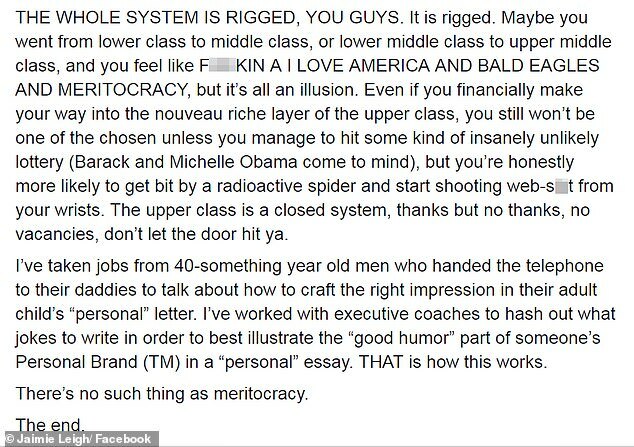 Leigh broke down just how the wealthy get their children into these elite schools, and how it sets up their children for the same opulent lifestyle. ‘I think a lot of people seriously have no idea how thoroughly the system is rigged,’ she wrote. 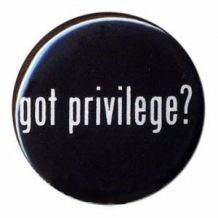 ‘There’s no such thing as meritocracy’. Leigh explained that she spent several years as a ‘for-hire writer who couldn’t afford to turn work away’. ‘This means I accepted a lot of jobs I feel icky about now, but it also means that I’ve seen firsthand how this all shakes out,’ she said. Paying someone to write academic papers, while not seen as morally sound, is actually legal because it is treated as a paid transaction. Once the ghostwriter has completed the paper and is paid for it, the content becomes the property of their client. 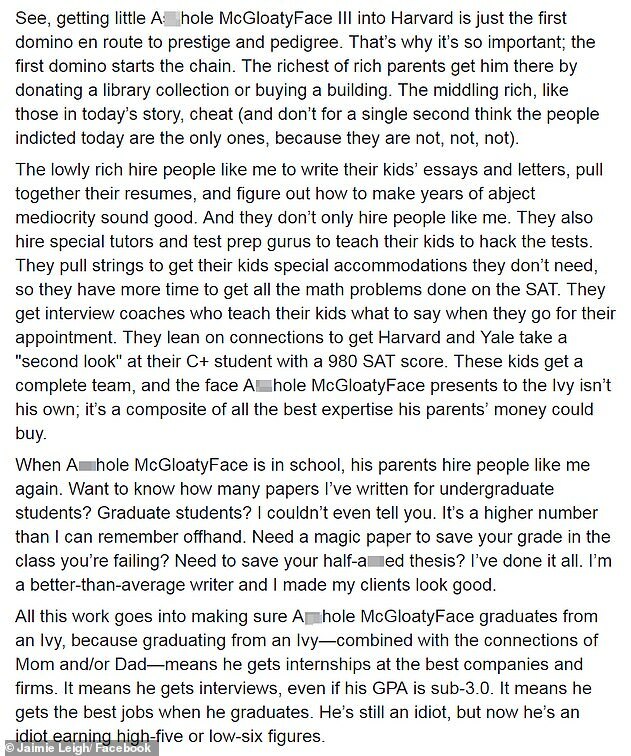 Leigh then begins to tell the story of a person she names A*****e McGloaty Face III and how getting him into Harvard is ‘just the first domino en route to prestige and pedigree’. Leigh revealed these parents also hire ‘special tutors and test prep gurus’ to help children learn how to ‘hack’ the college admissions tests. Leigh said these same parents hire her again even when their children gets into the top school. Now they need help with their classes. Leigh said this all ensures that the student graduates with an Ivy degree, which then gets him internships and jobs at the best companies in the country. 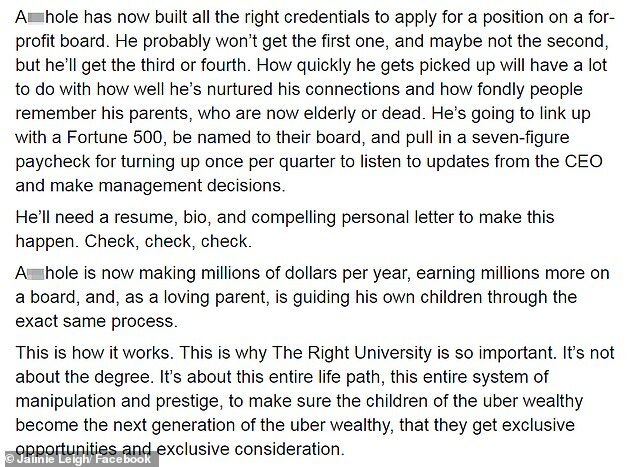 Leigh said the company that hires the student then begins to groom him with an executive coach, deciding that he’s ‘executive material’ because he has the ‘right name and the right degree and the right presentation’. He will also get a mentor, who will help him ‘meet the right people, form the right connections’ and take him to the right events to make sure ‘he knows all the power players in their city’, she continues. It is these key figures who help the student sign up for the right charities to build his ‘Personal Brand’, getting him seats on ‘the best non-profit boards in his city’. The student eventually gets promoted, making ‘low-mid six figures’. But thanks to his good school, good job, and good philanthropy, he begins being considered for ‘a whole host of things most average people have absolutely no awareness of’. By the time he’s in his 40s and 50s and now earning high-six figures, the man is now ready to apply to a for-profit board, Leigh explains. ‘He’s going to link up with a Fortune 500, be named to their board, and pull in a seven-figure paycheck for turning up once per quarter to listen to updates from the CEO and make management decisions,’ she writes. Leigh revealed that she has taken jobs from 40-year-old men who still gave the phone to their fathers to ‘talk about how to craft the right impression in their adult child’s “personal” letter’. 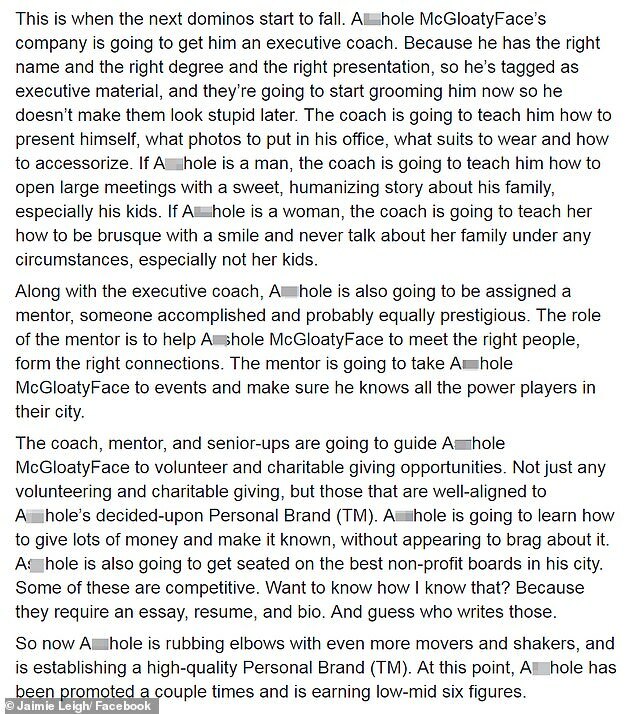 ‘A*****e is now making millions of dollars per year, earning millions more on a board, and, as a loving parent, is guiding his own children through the exact same process,’ she continued. This, Leigh explains, is why the ‘Right University’ matters. Leigh reveals it is these people who come out on top compared to those who are fighting for the same opportunities but don’t have access to the same resources. 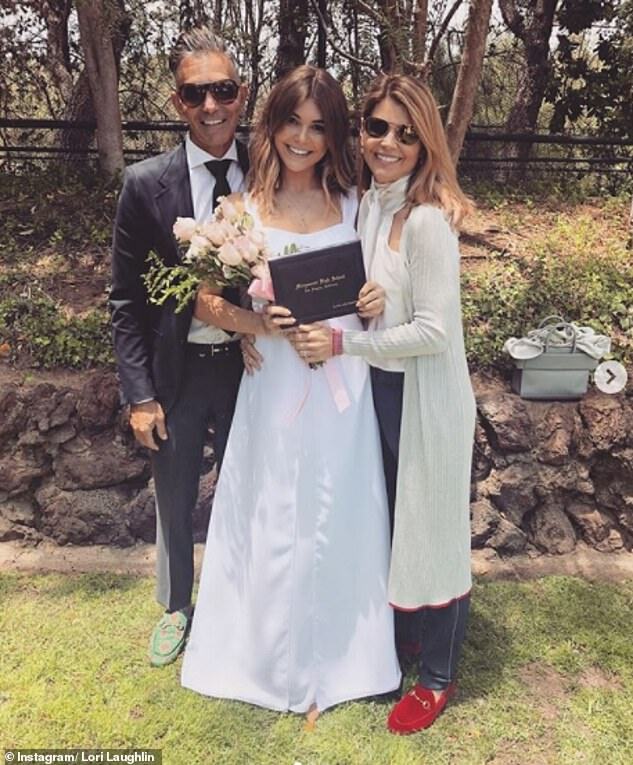 Loughlin, her husband Mossimo Giannulli, and Huffman were all charged with conspiracy to commit mail fraud and honest services mail fraud, a felony which carries a maximum sentence of five years behind bars, in the college bribery scandal. 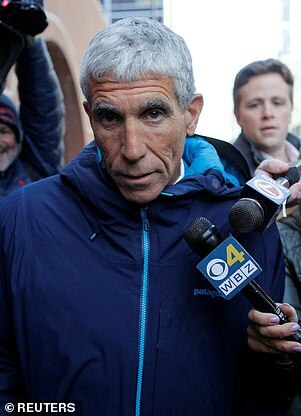 Charging documents claim that, since 2011, Singer has received $25million from parents to bribe individuals who could ‘designate their children as recruited athletes, or other favored admissions categories’. Loughlin and Giannulli allegedly paid Singer $500,000 to get their daughters into USC by bribing the senior athletic director to designate them as crew recruits, despite the fact that neither girl participated in the sport. Huffman allegedly paid $15,000 to arrange for someone to secretly change her daughter’s answers during the SAT exam.